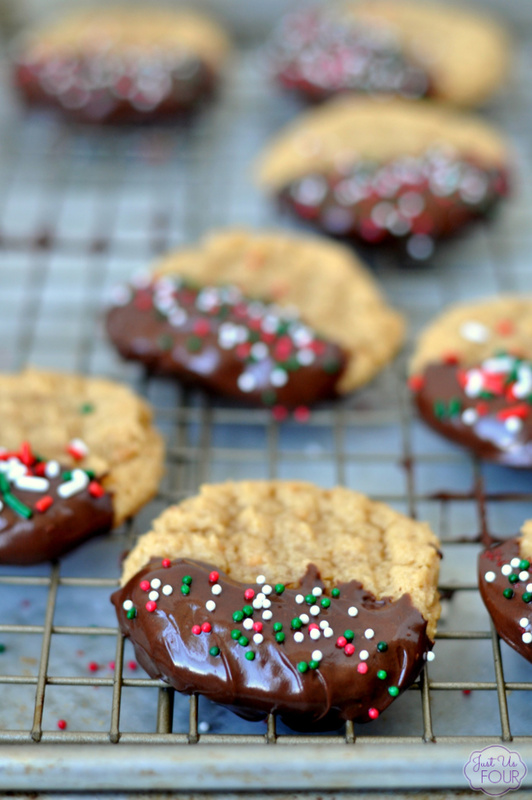 Holiday baking is so easy and delicious when you can make these Dark Chocolate Peanut Butter Cookies! They only need 5 ingredients and 15 minutes! Holiday baking has been a mainstay in my life since I can remember. I always remember visiting my grandmother who would either be in the midst of baking some delicious treat or had a tin full of cookies and fudge waiting for us when we arrived. Life is a little busier now than back then but I still try to find time to bake for Christmas with my daughter. One of my favorite cookies as a child remain my favorite to this day and I love baking them with her. Of course, now as an adult, I do add a little something extra and make them into Dark Chocolate Peanut Butter Cookies. 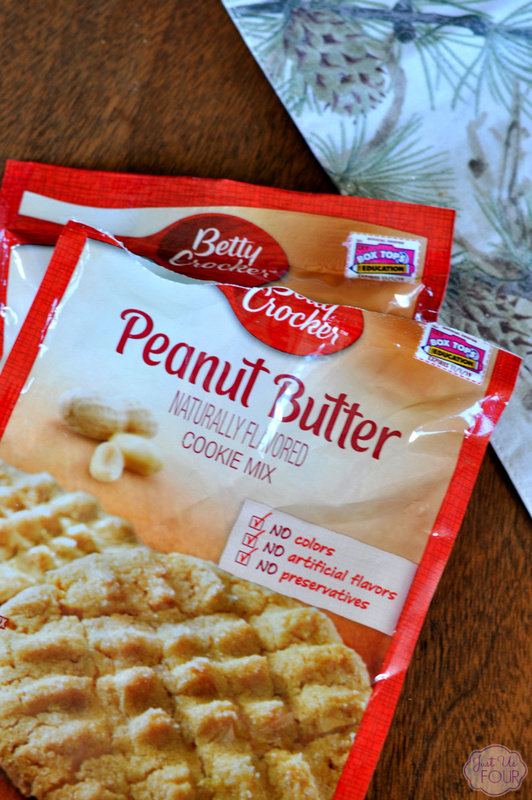 Since time is limited for our baking due to various activities and all the things that have to get done, I turn to things like Betty Crocker® cookie mixes to help me get our baking done a little easier. It still allows us to spend time together in the kichen but, using the mixes, reduces the amount of ingredients and prep work needed. 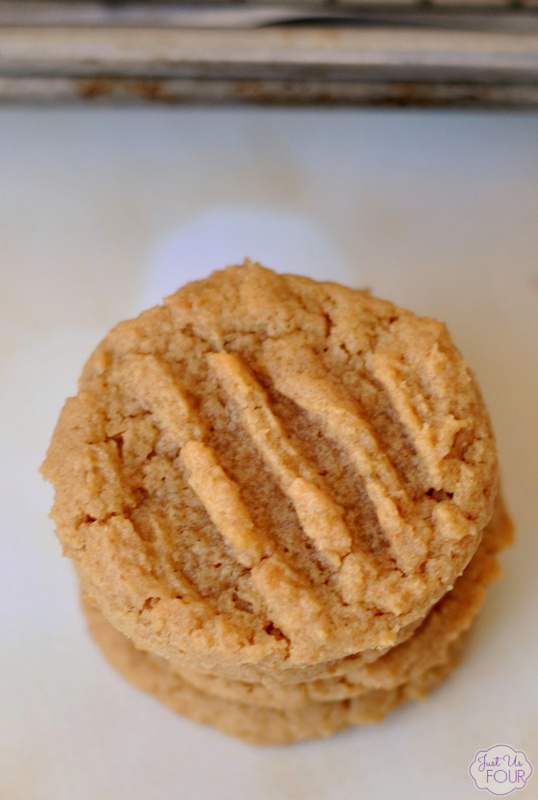 We can even spend some of that time decorating these old fashioned peanut butter cookies with some holiday sprinkles. They are the perfect way to spread cheer with simple surprises! I left some of the cookies undipped for my son who isn’t a big fan of chocolate. They are so delicious with or without the chocolate. I love that we can get in the kitchen and bake together whenever we can steal 30 minutes out of our busy day. I think this weekend we may work on some cutout sugar cookies! The Betty Crocker® sugar cookie mix I picked up from Walmart is perfect for that! Be sure to use this great coupon when you go to the store to pick up your cookie mixes! What are your favorite holiday baking traditions? 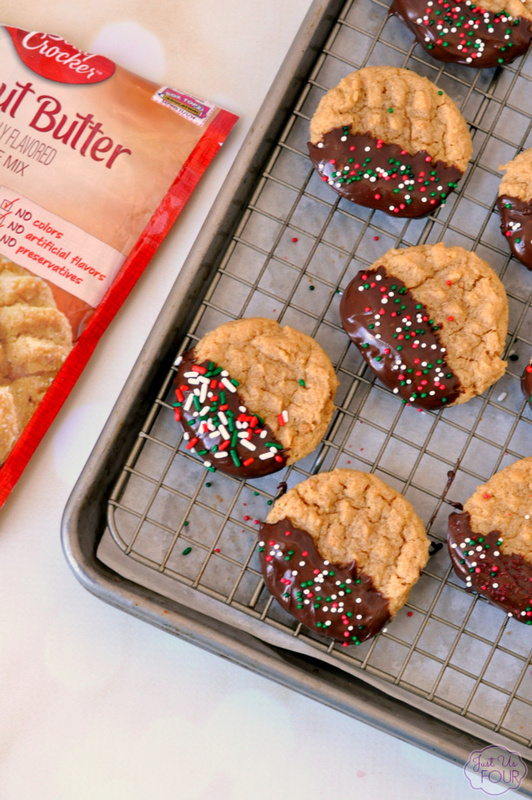 Do you use short cuts to make fitting your holiday baking into your schedule easier? In a large bowl, combine cookie mix, 2 Tbsp vegetable oil, water and egg. Stir until just combined. Scoop into 1 1/2 Tbsp balls and place onto baking sheet. Press lightly with fork to make crisscross pattern. Bake cookies for 8-10 minutes or until lightly browned. Remove from oven and cool on baking sheet for 2 minutes. Transfer to cooling rack and cool completely. In a small bowl, combine chocolate chips and 1 tsp oil. Stir. Microwave for 45 seconds. Stir until smooth. If needed, microwave in additional 10 second increments until fully melted. 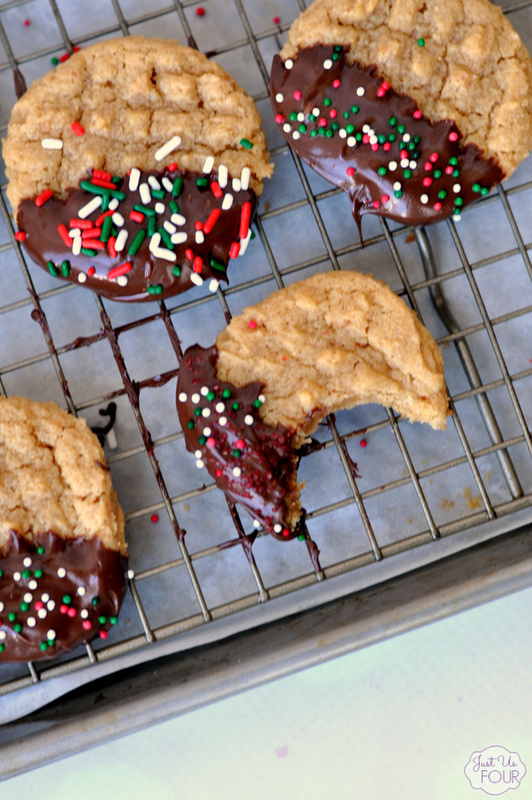 Dip cooled cookies halfway into melted chocolate and place on parchment paper. Sprinkle with colored sprinkles and let set. These look and sounds so yummy! We too use a lot of Betty Crocker cookie mixes and then doctor them up and make them our own. This year we used their sugar cookie mix to make cinnamon bun sandwich cookies. But peanut butter and dark chocolate; yumm!!! Yum,,these look so good. And look like a good choice for a family get together.